Dutch steel cruiser for sale. 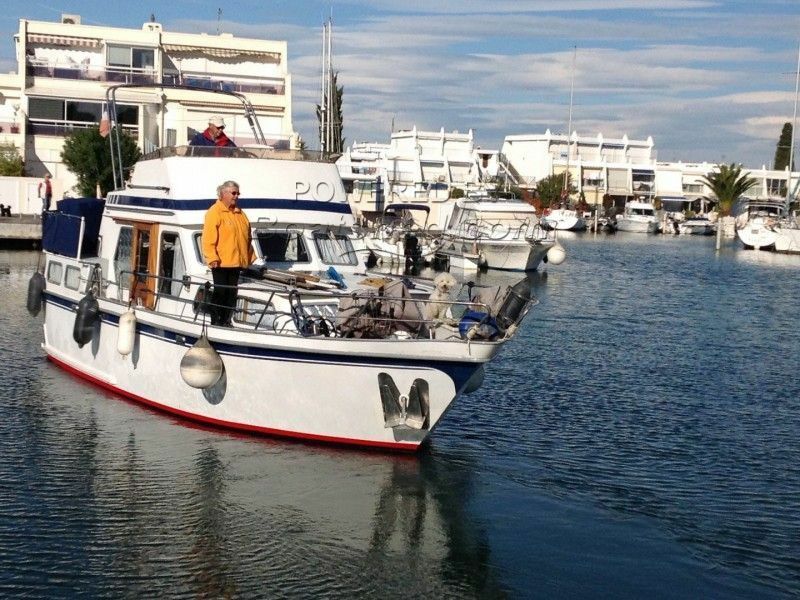 Boatshed Midi Canals is pleased to offer this Proficiat 10m motor cruiser for sale in the south of France. "A compact cruiser with so much space". A double cabin forward. A galley and dinette. A wheelhouse saloon with inside helm. Aft cabin with double bed. Heads with shower and wash basin. Two distinct outside areas with aft sundeck and trawler style flybridge with helm. And all in just 10m of boat!! For more information and appointments to view, please contact James Hebden your Boatshed broker at Boatshed Midi Canals. This Dutch Steel Cruiser Trawler Style has been personally photographed and viewed by James HEBDEN of Boatshed Midi Canals. Click here for contact details.